While more and more leisure travellers are booking vacations with travel advisors, knowing this will save them time, effort and money; corporate travellers are also taking advantage of the expertise a travel advisor and travel management companies can provide. In this digital age where everything from hotels, to flights and restaurant reservations can be made online; you may be surprised to hear that the role of the travel agent is on the rise. According to a 2015 MMGY study, travel bookings made by advisors have increased by 33 per cent. Business travellers have different expectations and requirements for travel today, so it is a travel advisor and travel management company's job to continually update and improve their services and methods of communication to fulfil these needs. Travel advisors have their finger firmly on the pulse of the industry. They receive information, updates and news that outside companies or consumers may not be privy to. A travel advisor will get to know you, your company and your exact needs and requirements when travelling for business. Whether you're looking for a hotel with large conference facilities, a state-of-the-art gym or a Michelin-star restaurant for entertaining clients - a travel advisor will have first-hand knowledge in order to make an educated recommendation. They are also able to make adjustments to your itinerary based on your personal preferences and even though you're travelling for business, an advisor will always provide the level of intimate customer service you would expect from luxury leisure travel. Whether it's you or your travel planner booking corporate trips, a travel advisor will take care of all the time-consuming tasks involved with booking complicated or extensive travel plans. They take the hassle out of arranging visas and other paperwork that can be time-consuming and a potentially stressful process if you aren't fully informed about what is required. For business travellers who are required to take complex, multi-stop trips, a travel advisor can find the best combination and schedule taking into account layovers, time zones and budgets. A travel advisor will also be fully briefed on your company's travel policy to ensure that your trip is planned accordingly with preferred air, hotel and car rental partners. Contrary to what internet search engines may tell you, a travel advisor will always have access to the best price available, including those found online. They have partnerships and connections with key vendors and suppliers that allows them to secure deals and prices that aren't available to the general public, especially those that are limited-time special offers which can translate into significant savings for frequent business travel. A travel advisor always wants to get the best deal possible for a client so rest assured they'll negotiate on your behalf, often securing added value extras and benefits. If you're an entrepreneur or funding your own business travel, knowing you will always get the best price possible is hugely important. Booking with some travel management companies can also give you instant VIP access. Vision Travel for example is the leading Canadian member of Virtuoso which provides guests with exclusive amenities, upgrades and experiences not accessible to other travel companies or individuals. A travel management company can also secure discounts based on volume bookings. When employees book on their own through multiple sources, companies lose the ability to negotiate volume rates and discounts. No matter how well an international or domestic business trip is planned, it can still be fraught with the unexpected. If your flight is delayed or cancelled, your travel advisor will take care of alternative arrangements and communicate them to you without missing a beat. 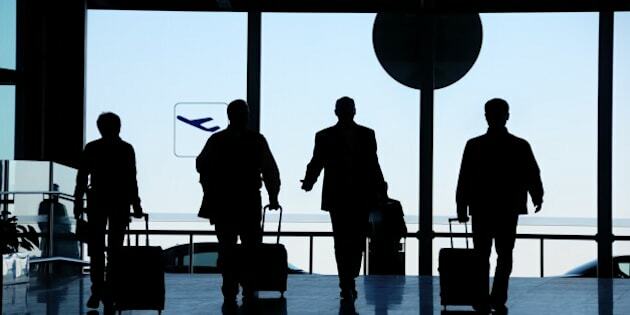 Business travellers need to be aware their employers have a legal obligation - called Duty of Care - to ensure the personal safety and well-being of employees who travel on business. Known as Bill C-45, the legislation became law 11 years ago and is entrenched in Canada's Criminal Code. If an emergency, such as a natural disaster or an act of terrorism, endangers an employee on the road, having a Duty of Care solution through a travel management company is crucial so that they can respond to a crisis immediately. Vision Travel offers this through 'Vision Assure', a turn-key solution that includes a mobile app designed to keep employers connected with travelling employees 24/7. It also provides a web-based tracker map to help employers keep track of all their travelling staff, as well remote tracking capabilities.